Are you into Harry Potter? Hockey? How about the NHL playoffs? If so then wow, you’re in some serious, serious luck! An issue that every fan (of hockey) faces each season is choosing a team to pick. New teams make the playoffs each year and teams change based on circumstance. Well, luckily for these BarDown kids, the ‘sorting helmet’ offered its services to help decide which team they’ll be cheering for this spring. Grab your popcorn, stick your Maltesers in it (yes, there’s nothing wrong with that people) and watch as Corwin, Jesse and Luca get sorted into their houses for the postseason. Okay, so if you’re not a massive Potter fan then let us give you some context here. 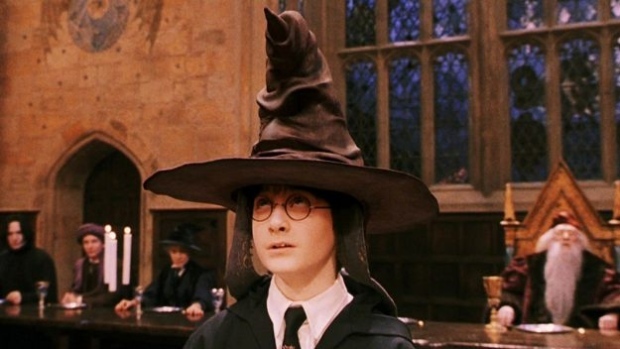 The scene is based off of the first movie in which the ‘sorting hat’ decides which house Harry will be in at Hogwarts. It was basically replicated to a tee. Can we all agree that Corwin nailed the Draco Malfoy part? And that Luca deep down IS actually a Leafs fan? Not buying the whole Avalanche thing! So, now it’s time for us to ask you: Which house will you be cheering for in the postseason? !